Renault has presented one of its new concepts in Frankfurt. 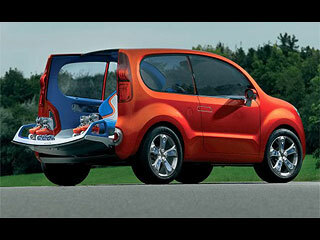 It’s called Renault Kangoo Compact Concept. It has „concept“ in its name, so this car won’t be available in few weeks in your local dealer’s showroom, but it’s a designer’s study full of innovative ideas and solutions. Renault cooperated with Rollerblade company that’s famous for production of roller skates. That means that this car is focused on younger generation from cities searching a compact vehicle matching their lifestyle. 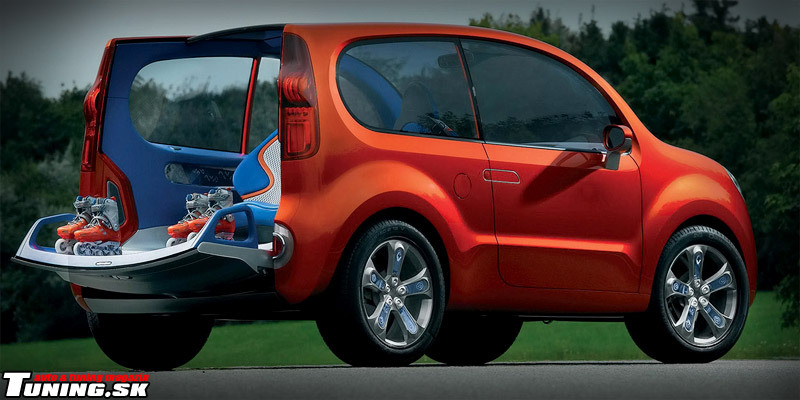 The concept comes from Renault Kangoo and that’s noticeable on its height and cut rear part of the car. Maybe it looks small at first sight (its length is less than 4m), but it offers great interior space. Chassis covers only necessary parts of the body, so now there are big glass areas. The whole body has two colors – orange and aluminum grey. The ride has increased clearance height 200mm. It’s not an off-road at all, but it can handle easier obstacles. Rims look amazingly, but they definitely won’t be available in reality. They’re 19“ 5-spoke rims with few transparent parts and they were designed in Renault. 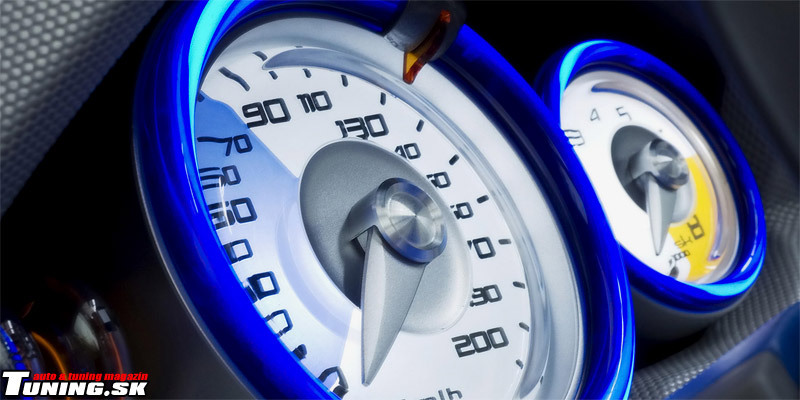 Its engine was developed to be eco-friendly and meets Euro IV standards. It produces 105hp (78kW) and 240Nm of torque at 2200rpm and these are very nice values for the 1.5 liter diesel powered aggregate. But the interior is a stand-alone chapter. Every concept has some futuristic interior and this one isn’t an exception. There are many innovative ideas and features. We need to suggest you that the concept is for 4 persons only. The whole interior dominates in blue, silver and little bit orange color. 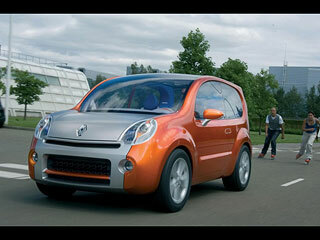 Your opinion on concept Kangoo Compact od Renaultu?